Self watering square containers have been challenging until now. Ups-A-Daisy has a square insert on the market for you to use to make a conversion. Up to now, the only way to convert square and rectangular planters into self waterers was to convert a smaller tapered round container and insert it into your larger square/rectangular planter. I’m happy to say that you no longer have to resort to that tactic. 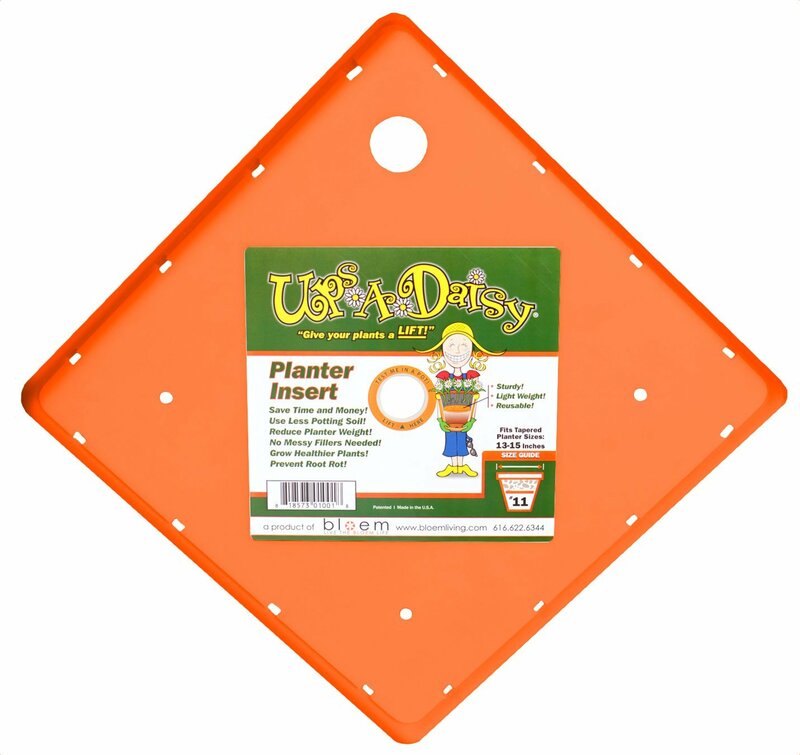 Ups-a-Daisy now manufactures square inserts that come in sizes from 11 inches square through 15 inches square. If you follow the same instructions I outline in my book to convert your container to make it a self waterer, you’ll be good to go.